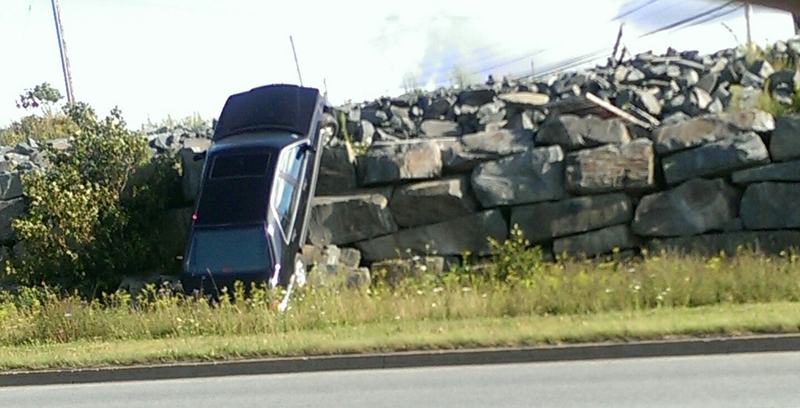 Some Saturday Excitement At #Sackville Business Park. Yikes! | Sack-Vegas!!!! Some Saturday Excitement At #Sackville Business Park. Yikes! Look at this pic Yvette d’Entremont snapped on Saturday. Whoops! This is near European Auto (Glendale Ave) around 6 PM. I’m not sure exactly what ‘went down’ here. Well, besides the car…. I wonder if anyone was in it or if it was a roll job? Posted by Sacky on August 11, 2014 in Uncategorized.